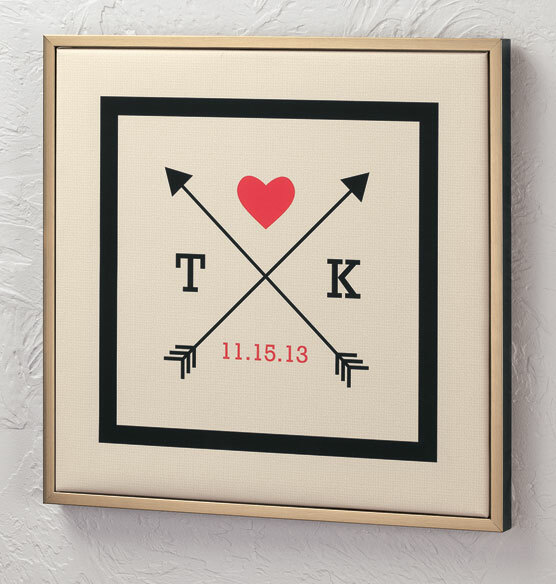 Make a point of putting your love on display with our sweetly personalized arrows canvas. 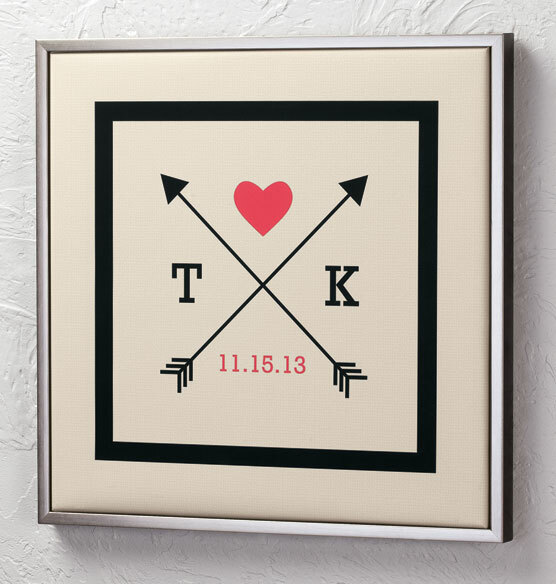 Simple arrow and heart design is personalized with your initials and most important date. Blends with any decor. 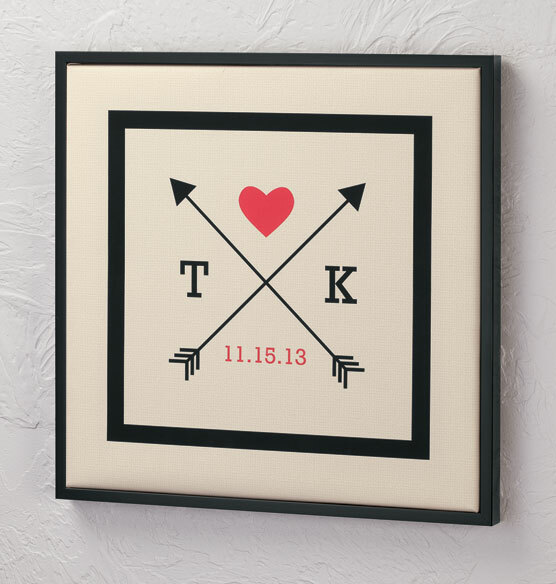 Makes a perfect gift for a newly married couple or your favorite first-time homebuyers. Personalized arrows canvas measures 18" x 18"